Our 2018 Machine Embroidery Club will feature exclusive designs from Kimberbell. Embroidery club will meet the third Sunday of the month. Each month we will stitch a fun project that is completed in-the-hoop. Join us for the year or pick and choose the months you want to come. The class fee will include the designs loaded on a USB with all machine formats, instructions and stabilizer. Bring your machine or use one of ours for $10.00 per session. Machines may be reserved monthly on a first come first serve basis. There will be a $10.00 fee for bobbin thread and needles (if you bring your own we will waive the fee). 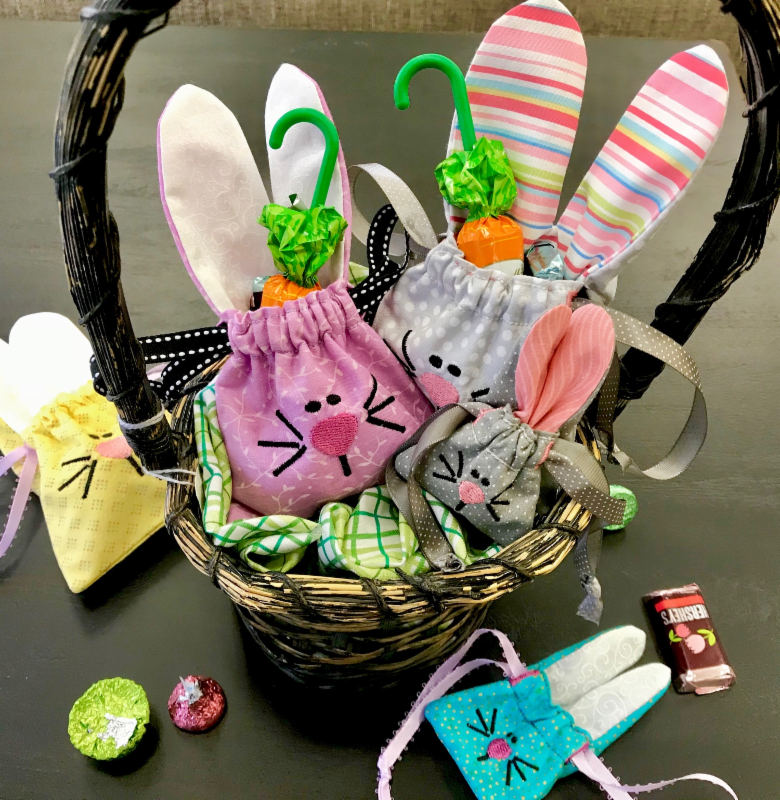 The March project features little bunny cinch bags, just in time for Easter treats. These adorable bags stitch up in about an hour. Bring your machine or use one of ours for $10.00 per session. Machines may be reserved monthly on a first come first serve basis. There will be a $10.00 fee for bobbin thread and needles (if you bring your own we will waive the fee). Please call the shop to reserve.